Following on from the companies announcement at this year's Tech Fest that from 2020 all new Jaguar and Land Rover vehicles will be electrified, it is exciting to be able to quickly reinforce this message with the launch of the new Range Rover 18MY. The latest Range Rover and Range Rover Sport will be Jaguar Land Rover’s first plug-in hybrid electric vehicle (PHEV) and marks a significant step on our road to electrification. As a sign of the times, Jaguar Land Rover has invested £4m into our UK flagship plant, Solihull, the historic home of Land Rover. • Trained over 400 people on the PHEV 003 H&S requirements. • Enabled 50 people to attend a two day external authorised and senior authorised person training. 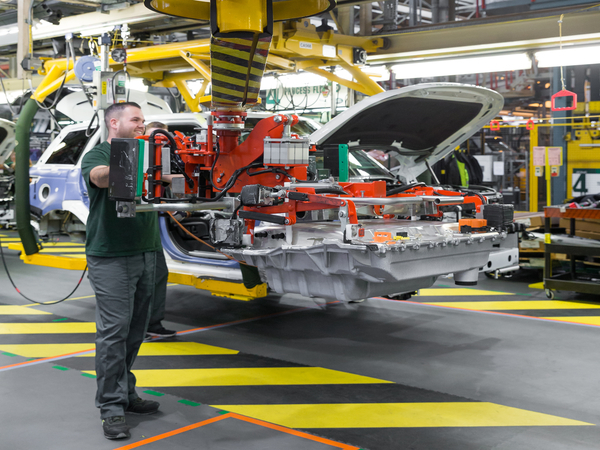 By the time we start MP Build, we would have already built nearly 3,000 PHEV vehicles at Solihull which will be used throughout our global business as engineering, new model testing, motor show and media launch event cars, to showcase our PHEV technology and powertrain refinement.